The best part was that I didn't have to buy anything- I already had all of it around the house! This is what I came up with. For the flower, I cut circles out of the pant leg and held the edges over a candle flame until they melted and curled upwards. Then I attached them with a pearl brad and hot-glued them to the frame. Perfect for a sweet one-year-old girl! What a great idea- really clever! I love love LOVE damask, and the creation of the flower is an amazing idea! I would have been thrilled to receive that. LOVE the flower! I have a dress that needs that desperately! This is the cutest frame. I think I will make some as the party favor at my daughter's (Margaret Grace)birthday. Can you tell me the font that you used to print "Olivia Grace"? Those pants are hilarious! What a beautiful frame! Thanks for sharing! a swell idea indeed! It looks gorgeous! beautiful! The flower adds so much! Love how you personalized it by putting the name of the recipient and picture goes here. Saw your blog over at Tater Tots! I love it! Adding it to my blog roll too! Thanks for linking up to the party! I love this! Gorgeous...absolutely gorgeous! Your reuse is ingenious. What did you use to write "Photo of Olivia Grace here?" Card stock, regular paper? Thanks.....it's super cute! I absolutely love this! I think I will have to make one of these for my house. I love damask print and those flowers are my favorite to make...never though about putting them on a frame. Thanks for the idea! I thought it was funny that the pants melted too! I actually wasn't sure whether they would or not! They were 95% polyester, so I guess that's what did it! I just used plain office paper for the paper I printed on. It worked perfectly! very very pretty! It turned out very nice. I like the damasks and flower! Thanks for linking up to Topsy Turvy Tuesday's! visiting from funky junk. this is my most favorite thing to do but yours looks so elegant, i will be trying the flower now, it is too cute!!! Wow! This is a beautiful frame! Thanks for linking to 2nd Time Around! OMG! I had those pants in red. Forgot about them until I saw this. Wish I still had them to craft with. Cute Frame, love the personalized insert. Oh Em Gee.. I had the SAME PANTS.. In EVERY color they made!! Ahh, the memories.. HAHA! Hello I am trying to make the flowers and mine are not melting and curling up.... lol they are burning. Any suggestions? You're right - Perfect! I'd forgotten all about the burning silk flower trick. Used to do that when I worked in a craft store. Love the frame. I'm loving anything black & white and damask is quickly growing on me! Would love for you to drop by this weekend and link up to Passion for Paint. The first thing is to make sure the fabric has an element in it that will melt (for instance, cotton wouldn't of course). I'm not sure which fabrics do other than polyester and chiffon; those are the ones I've used. The other thing is to make sure you don't ever let the fabric get close enough that it touches the flame. To melt it, hold it about an inch from the flame and wait a minute- even the stuff that melts will burn if you let it touch the fire. Hope this helps! Thanks so much for linking up to Passion for Paint! Hope you'll drop by again soon! I love your idea and plan to make a few for my girlfriends for Christmas. Any suggestions or helpful hints for getting the paper smooth on the frame when you modge podge? Thanks! 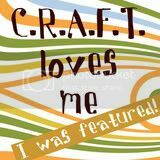 I just "found" your blog today, and I'm just in awe of your craftiness! LOVE IT! I've put you in my reader and hope you post a lot! You're so inspiring! OK, I tried modgepodging this frame and it looks like crap. What's the trick to pressing out the bubbles and not getting ridges?! I love this and am so making oone this week! WOW! This is GORGEOUS!!! I've GOTTA try this! TFS! you are brilliant my darling! I say that for your choice in pants as well as the frame. haha :) I just got mod podge for the first time the other day and am afraid of wasting it, but I want to use it. It says that after you put it on you have to seal it, but then it says it is it's own sealer...?! Do you have to put anything on top of it to keep it from being tacky? 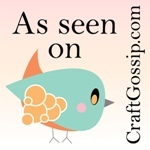 Hi Jessica, I stumbled upon your blog & I love it! I am your newest follower! I look forward to exploring it further. 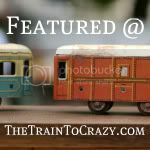 I wanted to let you know I have featured your frame on Stay At Home Nation, so please stop by & check it out! 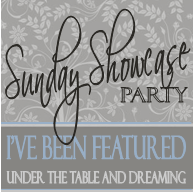 While you're there, I would love for you to link up to My Favorite Things Friday Party(going on all week). I can't wait to see what you share!